Home / Internet Tips & Tricks / How to increase speed of IRCTC Tatkal Ticket booking? How to increase speed of IRCTC Tatkal Ticket booking? IRCTC is the online train ticket booking website managed by Indian railways, IRCTC is an official website of Indian railway to book tickets online. Anyone can simply create their account on IRCTC for free and book his/her train ticket by doing E-Transaction (By Debit, Credit card and Net Banking). There are only 20 Rs extra charges on online booking, after booking the ticket you will get the E-ticket on your email id and also you will get your ticket on your registered mobile via sms, so you don’t need to carry a print out of your booked ticket. Now I am coming to the topic, if you are here, then surely you are the registered user of IRCTC website and trying to book tickets online, we all know that IRCTC website goes down on Tatkal ticket booking, because there are thousands of people trying to book tickets online on the timing of Tatkal booking which is 10 to 12 in the morning. If you are going to book Tatkal ticket, then surely you are in a hurry and want to book tickets for the next day, but when you are trying to book a Tatkal ticket you found that IRCTC website is not open, it takes lots of time to open and by chance if websites are opened then it got hanged on time of payment, I personally face this problem when I want to book a Tatkal ticket online. Do read: Track & find stolen phone using IMEI number? Solved! For the solution of this problem I am going to show you the some easiest way to book Tatkal tickets on IRCTC fast, there are many factors, by following below method surely you will book IRCTC Tatkal ticket online successfully. Do read: How to Remove shortcut virus from PC/Laptop/Pen drive – Solved! When you are booking a Tatkal ticket on peak hours, then you have very less time to book tickets because Tatkal tickets booked very fast and after that waiting list occurs, so for this you have to do the Tatkal ticket booking process very fast, for this you have to fill the passenger list very fast and it is possible that in the hurry you make any mistake in entering the data of passengers, For this I am showing you the mind blowing tricks. 5) Most of work is now done, Now when you are booking a Tatkal ticket form on IRCTC website, simply drag the magic Auto fill to IRCTC webpage. 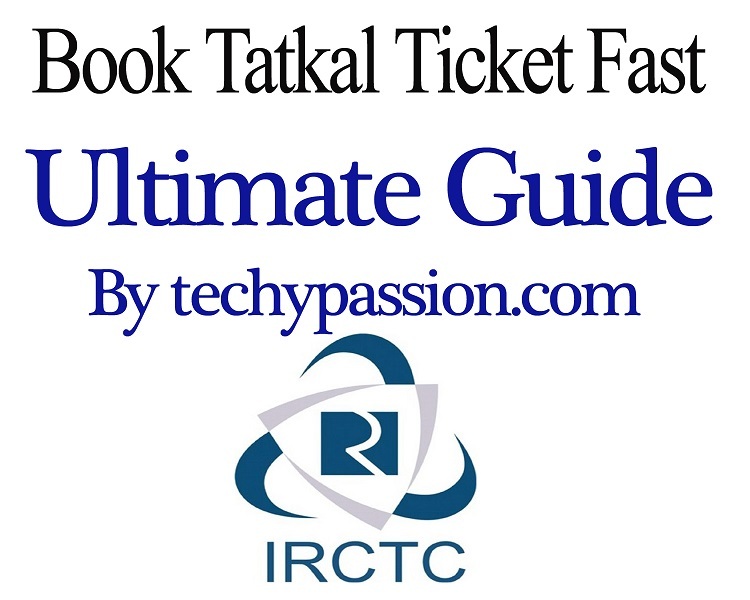 Hope you like our article on “How to Book IRCTC Tatkal Ticket Fast and Quickly“, If you have any query or doubt regarding IRCTC Tatkal Booking Speed and Issues then let me know by below commenting, This is how you can book a tatkal ticket in IRCTC quickly and faster. Note: These are the simple methods to book Tatkal tickets fast on IRCTS website, we are not responsible if you are miss use this methods, This methods are only for personal use. Previous How to send large files using Facebook? I have problems with my blackberry 9320. I have a stable broadband connection ( wifi modem ). Though my mobile is getting connected to wifi , I am not able to use any app or browser. it is showing error msg ” internet connection not available ” help me in this issue …! Balu, you should hard reset your headset. Balu, Which headset you want to reset? Simply go to settings and select wipe option. 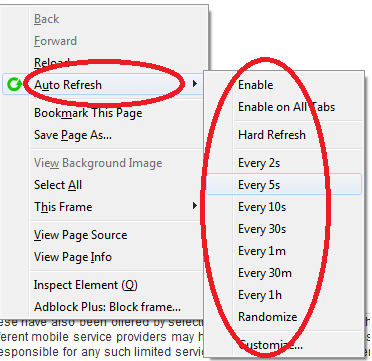 A bit confused ….. is auto refresh & auto reload the same thing …. want reloading the page ADD to the time taken, and also potentially mess up the progress in booking the ticket ? Bosco, Yes Auto Refresh and Auto Reload both are same. Rohit, For booking fast tickets follow the procedure which i wrote in above post. Rohit, sorry but we didn’t get you.. Please explain which thing are not working.. so we can help you in better way. Auto fill is not working as IRCTC portal has been changed ?? Hello Promod, Sorry but i didn’t get you, Please explain what you want? IF possible use IMPS as a payment option which is faster than debit/creditcard/netbanking. Yes Raviteja, I am agree with you, IMPS is also a good option to Book tatkal ticket Fast. mmid no. for imps payment gateway. but I have to wait for OTP ? which is very time consuming sometime.. isnt it? when irtc site open this time my server is failed . how find server to book the ticket? Try to open site @9:20 AM and install Auto refresher and wait. i want to know, that how much time in second is maximum in autofresh to save for session expire. No need to auto fill action. 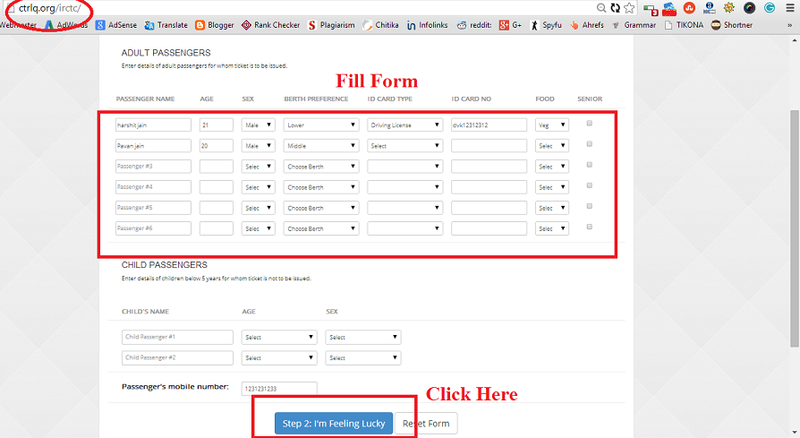 Some time we can see that form is filled out and we are waiting for character code to refill. Sirshendu, Auto Refresher is working in Google Chrome and Mozilla Firefox both, I think you are doing something wrong, First install the plugin and after that open the IRCTC website and set auto refresher @30 Sec, and when you are going to book ticket then simply turn off the plugin. Auto reference work only for one page plan my travel, once i go forward to book ticket, its get me back to plan my travel page. and finally log out AUTOMATICALLY. Rakesh, When you are booking ticket turn off the auto refresher plugin. Nice Post about IRCTC Login, thanks to share and keep it up. Does the session refresher effect the payment gateway, as refreshing is not allowed. At the time of payment Turn off the Auto refresher. I am not able to get your point on auto-refresh. Please help me to undrstand it. I have logged into the IRCTC website with my login credentials and set the auto-refresher for 30 seconds. However, after 3-4 minutes, the IRCTC website still asks me to put my credentials as I am logged off. Please help me to fix this. Hello Shahan, On which browser you are using auto refresher? I’m very pleased to find this page. I wanted to thank you for your time due to this fantastic read!! i am travel agent and i book railway tickets can you please tell me the most suitable internet option which can suffice my needs…..
Harshit, With new irctc site, with easy auto refresh on chrome, i set refresh interval to 60 seconds, but after 60 seconds it is taking to login page again. I tried with different intervals(all <3 mins), but same problem 🙁 . Will easy auto refresh work with new irctc? The requested URL /irctc was not found on this server. If I start the auto refresh then its refresh whole the page and again I have to re login in the irctc. Thanks a lot. Your Magic Autofill saved the day for me !!!. I was able to save precious time when booking. what is the best and fastest way for tatkal payment now when booking from computer. I am travel agent,and I used the magic autofill to fill in the form beforehand. But since y’day the autofill is not working. I tried to download again, crtlq/irctc with google chrome but it shows error 404 not found. pls help me as it affecting my business very much. Very valuable and useful information is provided. Thanks for the information.